With the introduction of technology in the business world, complicated business endeavours that were once a pain have now been made simpler. We live in a generation where a simple device like a mobile phone is no longer just used for communication but to mainly seek information on the internet and even manage and run a business. 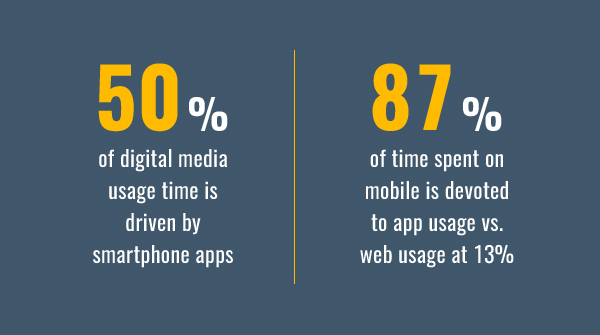 The big question is How much time do consumers spend on mobile devices? 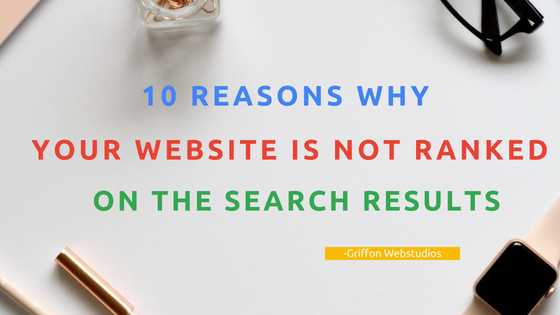 With a massive growth of the mobile market in the recent years, having an archaic website that only runs on the desktop means that your website is losing a large volume of valuable traffic. Why do you need a mobile marketing strategy? Well, this is the age we live in! Just get to the city square and you’ll find thousands of folks glued to their smartphone screens. 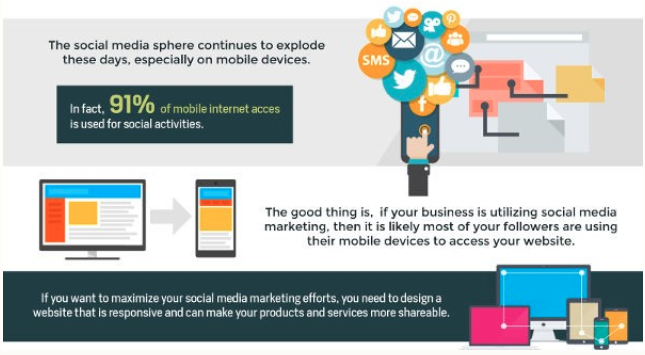 Here’s a quick bite of some mobile marketing stats. The number of mobile phone users in the world is expected to pass the five billion mark by 2019. In 2016, an estimated 62.9 percent of the population worldwide already owned a mobile phone. The mobile phone penetration is forecasted to continue to grow, rounding up to 67 percent by 2019. 66 percent of all email in the US is now opened/read on smartphones or tablets and 34 percent is viewed on a desktop. The mobile breakdown is as follows: 49.5 percent of email opens were on a smartphone, 16.8 on a tablet. 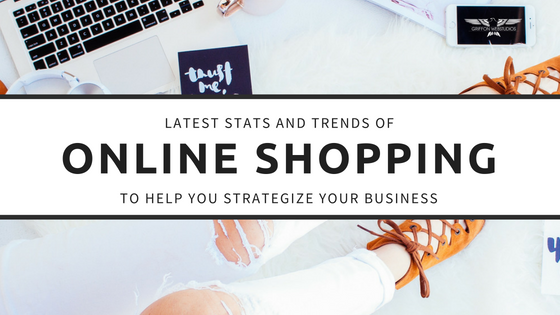 With the help of a Smartphone, Buyers can now access your website within a short span of time and shop. Due to the increased use of mobile devices to access online content, you need to ensure that your website is fully functional and well optimized for mobile devices. A slow website loading time is, and will always be your biggest threat. The webpages should operate well to allow it to smoothly function on multiple screen sizes. Most people will abandon the website if the loading time takes more than five seconds. Google has announced mobile friendliness as an important ranking signal. The change has affected the websites all over the world and made a significant impact on the search results. Optimizing your website to be mobile friendly will result in reaching scores of mobile users. Companies have started to embrace mobile apps as they understand the exceptional user engagement and the value-add it brings to their business. It can be easily downloaded from the App Store. The app economy is continuing to grow, with the worldwide revenue from app stores expected to top $110 billion this year. Mobile apps with numerous functions help customers to quickly access the company’s products/services with minimum steps. It also provides an easy payment option with an ability to track sales which benefits both the customer and the seller. Similar to mobile-friendly websites, Mobile apps engage buyers to spend more time surfing the products and services, thus increasing sales remarkably. It is no longer a news that we’re in a social-driven world. Facebook has more than 1.6 billion monthly active users, while Twitter has 305 million–numbers that are rapidly increasing. More than 100 million people use Instagram every month. You don’t have to limit social engagement on social media. Engage customers as soon as they arrive on your website by offering a Live Chat option. Linking your social media is just the first step but to truly boost engagement, you need to get serious about the content creation and distribution. A mobile-friendly website with social media engagement would be a perfect mix to retain visitors and respond to your call-to-action. Surveys are a way to know the market views concerning a certain product or service. The consumers give their opinions concerning the improvement of a product or service by completing online questionnaires made available. A mobile-friendly website would allow the customers to take part in online surveys easily. This will enable the service providers or companies to evaluate themselves and make changes to the products/services leading to a better user experience and increased sales. If your target market can access your website conveniently on their mobile devices, then they are more likely to complete contact forms, make purchases and become a loyal customer to your brand. One of the main benefits of having a mobile-friendly website is that even for dynamic technology platforms- such as wearable devices and smartphones- your website will still run very well and be optimized. This means that a mobile-friendly website will serve your business for years to come. The mobile market is rapidly expanding nowadays. 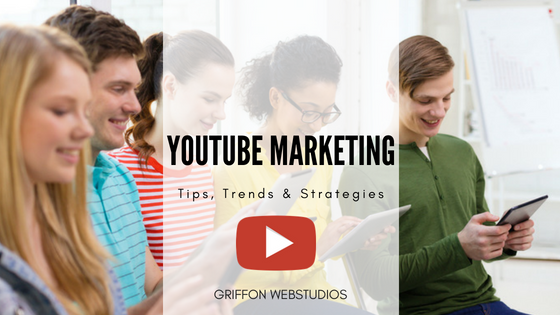 It presents a great opportunity for your business to stand out from your competition. When done properly, your mobile website will help attract more customers and achieve a better bottom line.